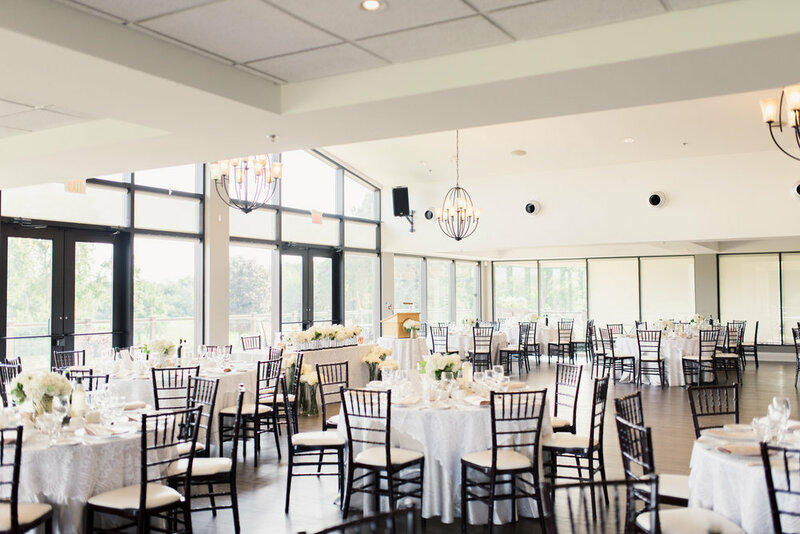 I’m so excited to share Daniel & Jeff’s wedding at the Dundas Valley Golf and Curling Club last August. Every single detail was so carefully chosen and aligned with their ‘mixed metals’ vibe, from their cuff links to their centrepieces. Also, I am OBSESSED with their outfit choices - they both looked so dapper! 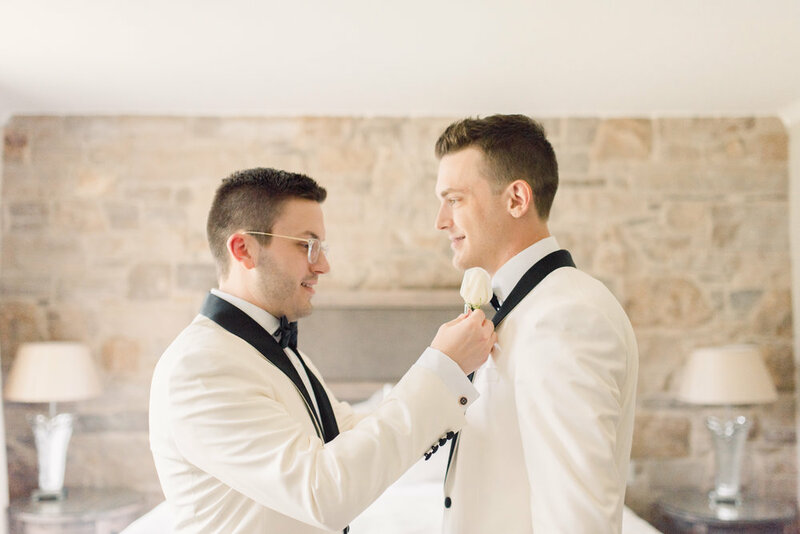 The two started their day getting ready together at the classic Barracks Inn in Ancaster. They opted for no wedding party which allowed for a calm, relaxed morning of just the two of them. 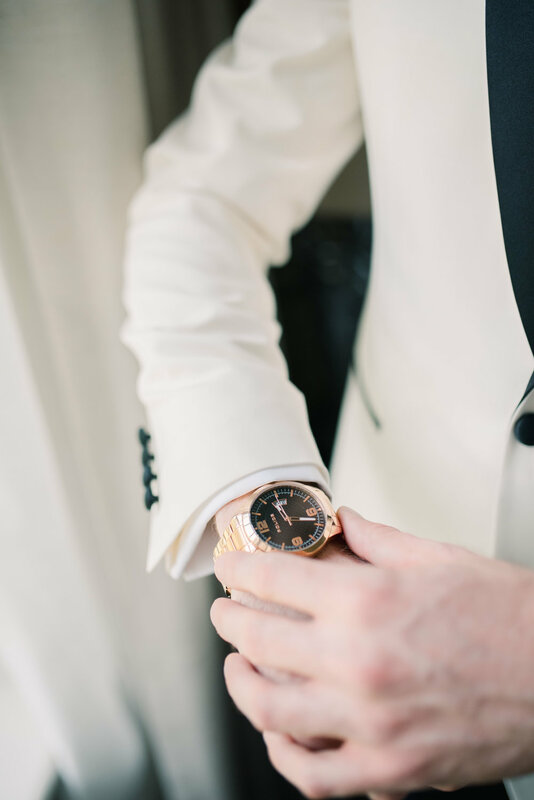 This is a trend I’ve started to notice in my recent weddings and I have to say, I love it! 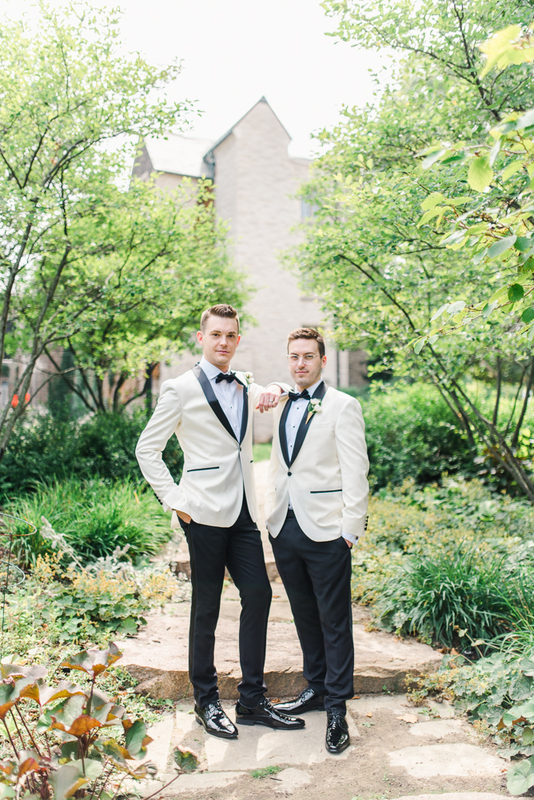 Daniel & Jeff opted to have their wedding portraits taken earlier in the week at McMaster University before their wedding so that they could have spend more time with their guests on the wedding day. Integrating a portrait session either before or after your wedding day is a great way to ease the day of jitters and stress about weather and how it will impact your photos! Daniel & Jeff were their own MC’s and they absolutely killed it. They roasted their family members as they announced them for speeches and I’ve never laughed so hard at introductions. Daniel & Jeff are the kind of people that you meet and love instantly - they are genuinely kind with hilariously sarcastic (and sassy) senses of humour. 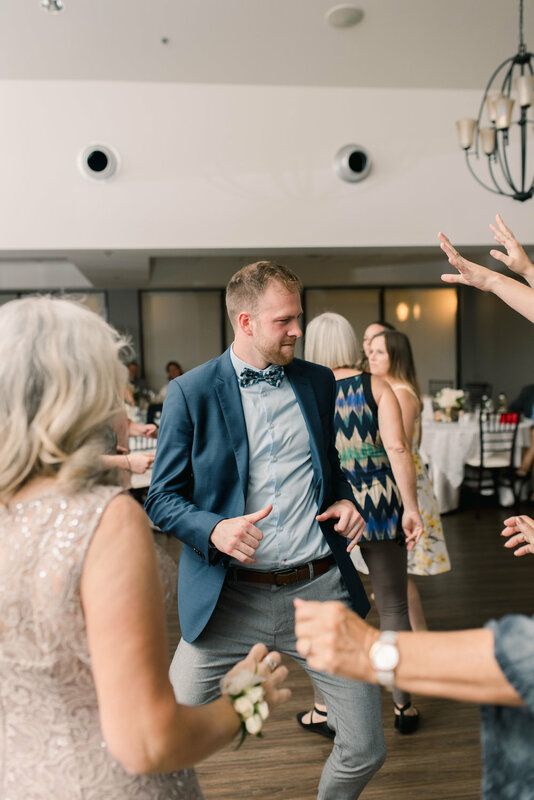 Their friends and family were the most welcoming and we may or may not have busted a few dance moves before leaving for the night. All in all a fantastic wedding day!